What is the best way to travel around Cuba from your casa particular? You just have landed in Cuba, have a casa particular in Havana booked and may have planned an airport Pick-up with cubacasa.co.uk. On the way to your casa particular, you will see lots of transportation options, which will be useful to remember if you plan to travel around Havana and the rest of island. Going for dinner or for an excursion, you won’t need to walk far from your casa particular in Havana to find one if these iconic cars crossing your path. And, good news!! 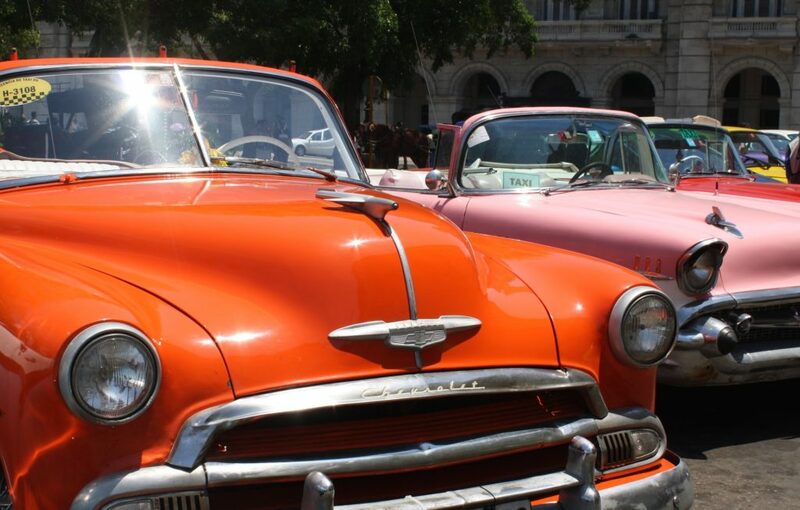 They are often used as collective taxis paid for in national currency (CUP), so are a great way to meet locals and feel the real Cuban atmosphere. In Havana, there is a comprehensive network of routes all over the city and you can easily jump on for a ride. To board them, just place yourself on the side of the street in the direction you want to go. If you see one of these old cars with a little yellow sign on the window, just waive to the driver when the car stops just ask “Para dónde vás?” Don’t be offended if the car doesn’t stop, it means it’s full! Should I travel by bus, train or taxi to get to another casa particular in Cuba? To get from your casa particular in Havana to another casa particular in Cuba, you will need to know about transport options. There are two types of buses in Cuba for interprovincial travel. The Viazul service is the nicest, but more expensive of the two. Viazul buses only accept payment in dollars, which they won’t be affordable to many Cubans. They run on nine routes across the country, mostly from Havana to such other major cities as Trinidad and Santiago de Cuba. One-way tickets vary from about US$10 between Havana and Varadero to about US$55 between Havana and Santiago de Cuba. If you have booked a casa particular in Trinidad for instance, and want to travel to there by bus, it will cost you US$ 25, one way. A second service called Astro offers a most common type of buses to less frequented places in Cuba. A trip on an Astro bus cost about one half of a trip on a Viazul bus, but are generally older and more crowded; finding a seat on an Astro bus can be difficult and you will need to turn up to the station well in advance. Travelling by train is romantic and a real experience, but can take time and services are not regular, so ask your casa particular in Havana if they know about the latest schedule! 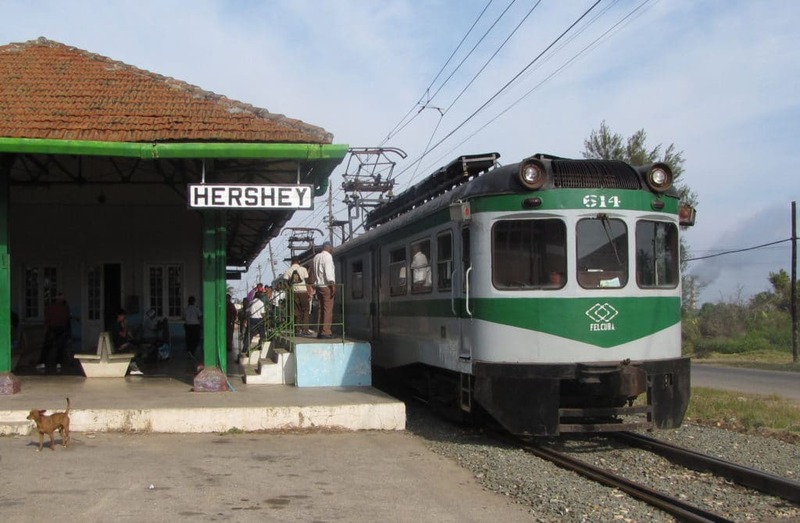 The Cuban train system is the only one of its kind in the Caribbean and mainly runs between Havana and Santiago de Cuba. Although they are ageing, trains are still in relatively good conditions and provide great views of the island landscape. Service from Havana to Santiago de Cuba is about US$45 each way, making it the most affordable way of travelling across the island. 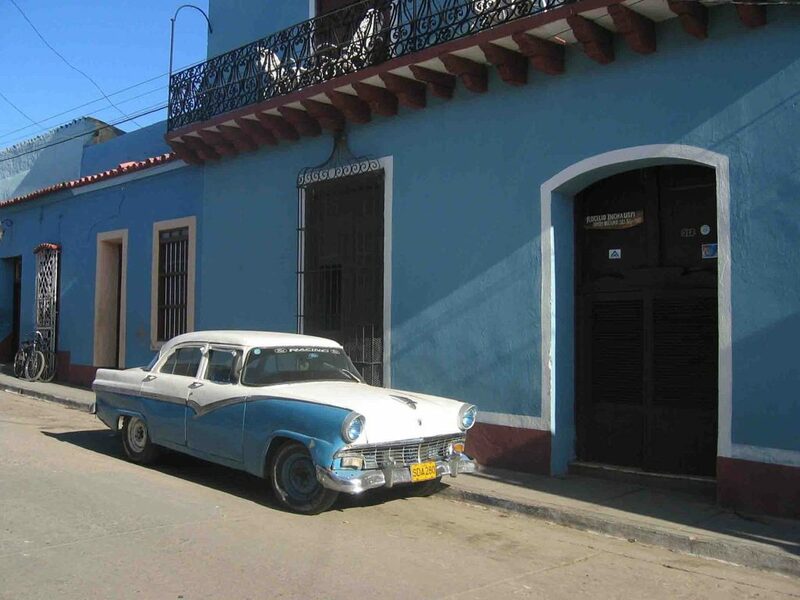 Taxis are another good option to travel within Cuba and your casa particular in Havana or elsewhere will generally have some good taxi services they can call. Except for rental cars, most modern Western cars in Cuba are tourist taxis, which charge between 50 cents and $1.50 a mile, depending on several variables. Conditions on Cuban roads vary a lot and road signs can be rare on the Cuban road network so, taxi drivers can help you navigate on longer journeys, and they will drop you off at your casa particular directly. Which can be helpful if you have a lot of luggage or are unsure about finding the casa particular you booked.